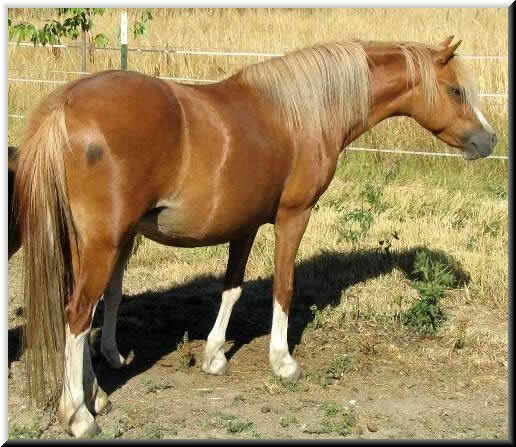 Lochinvar Prima Donna is a very "mountain" type of mare. 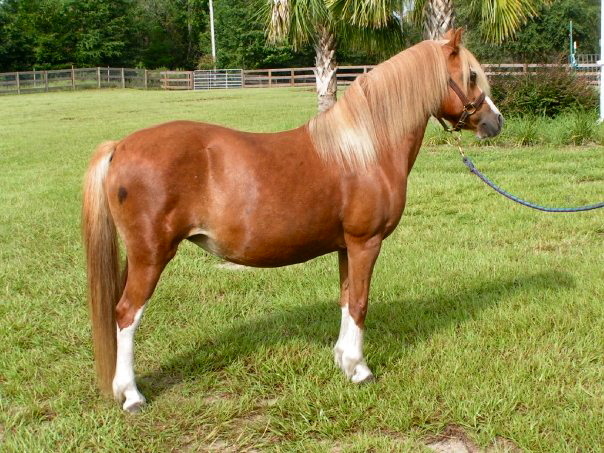 We love her classic looks, sassy attitude, and BIG trot. "Dottie" was sold in 2004 with buyer promises that she would be shown and campaigned. That never happened and ultimately, she was simply given away despite a contract that "guaranteed" us first buy-back! A miraculous contact allowed us to re-acquired her in 2009. We are SO delighted to have her back -- we can't imagine ever selling her again. Dottie is currently on lease to our dear, trusted friends at Silverwind Welsh in Trenton, Florida where she presented them with an outstanding black colt! Of Dottie's 5 foals, this is the 3rd black! An excellent producer, she consistently stamps her foals with her substance and type. 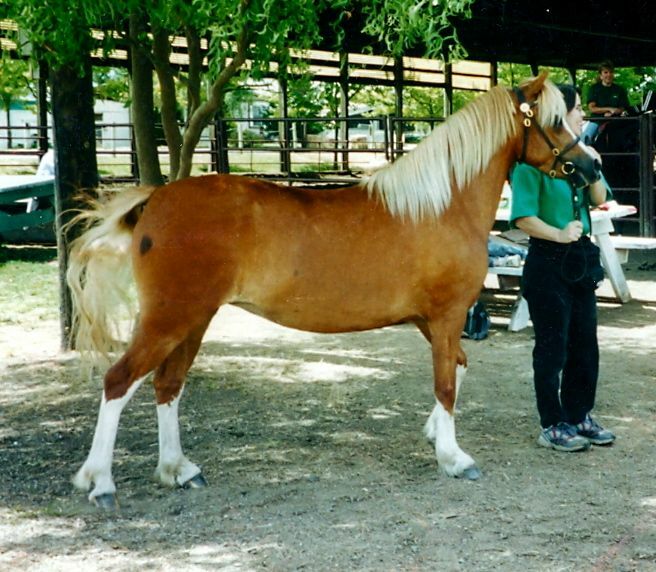 Photo at left: Taken when Dottie was 3 years old and was pinned Reserve Champion mare at the Emerald Empire Show. 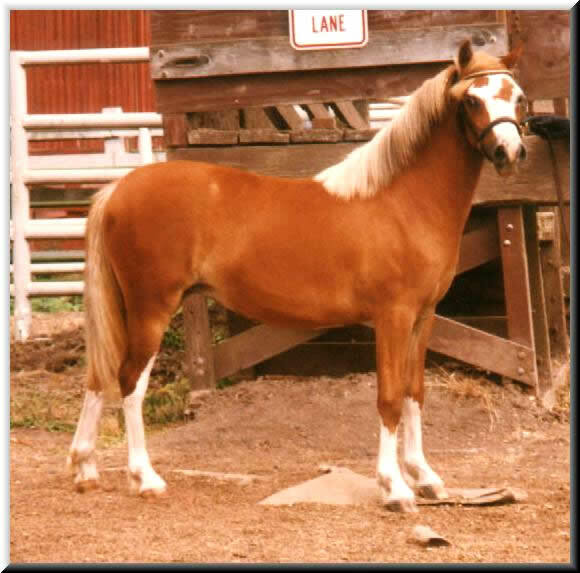 Dottie was a multi Junior Champion winner being always Champion or Reserve as a yearling and 2 year old! 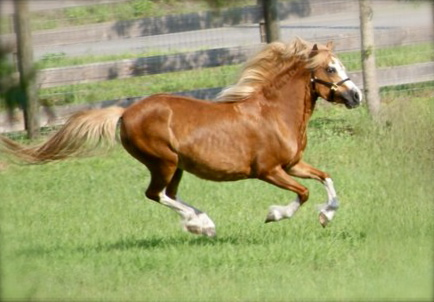 Shown here as a yearling.